This show was broadcast on May 19, 2014. William, Warrick, MD is a physician from Gainesville, Florida. In the 1960s he served time in the Army Security Agency, learned that the JFK assassination was a coup d’état, and has been politically “off the reservation” ever since. 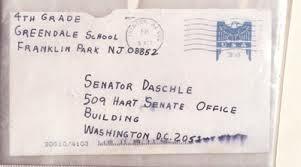 Today we discuss the presentation he gave at the Veterans for Peace national convention explaining the links between the 2001 anthrax attack and the 9/11 attack one week earlier – and offers evidence that both events were components of the same false flag operation. The ultra-weaponized anthrax used in the attacks was developed by the CIA at Battelle Memorial Laboratories and tested at Dugway Proving Ground in Utah. 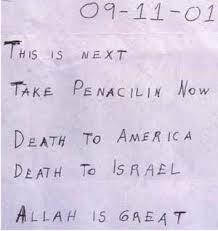 The attack was designed to be blamed on Muslims; it targeted a photo editor in Florida who had annoyed the Bush family, and the two then-leading threats to the 9/11 coup in Congress, Democratic Senators Tom Daschle and Patrick Leahy. This entry was posted on Sunday, May 18th, 2014 at 7:27 am	and is filed under 9/11, Anti-War, Bio-Chem/Warfare, Censorship-Propaganda, Death Squads, False Flag/Fake Terror, Freedom, Justice, Kevin Barrett, News, Protest. You can follow any responses to this entry through the RSS 2.0 feed.